November is National Family Caregivers Month, and Great Care joins the National Alliance for Caregiving in celebrating the selfless commitment of millions of Americans who care for loved ones. The National Alliance of Caregiving provides many resources for caregivers and their families, including these found on their website at caregiving.org/resources. 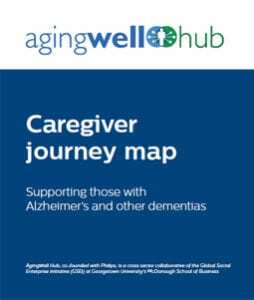 One important resource specifically helpful for those caring for loved ones with Alzheimer’s and other dementias is the Family Caregiver Journey Map. This integrated journey map, made possible by a partnership with AgingWell Hub, helps identify opportunities to provide support and intervention for caregivers, and in turn, to benefit their care recipients. Education: Extensive Alzheimer’s information and free e-learning workshops and a Virtual Library with more than 5,000 books, journals, cassettes, videos and CD-ROMs to borrow. Support: To connect caregivers with professionals, a 24/7 Helpline (800.272.3900) is staffed around the clock to offer information and assistance. ALZConnected is an online caregiver community for finding and sharing support on a national and local level. Tools: The Alzheimer’s Navigator is an online assessment tool that creates customized Alzheimer’s action plans, and a variety of tools to help caregivers cope. 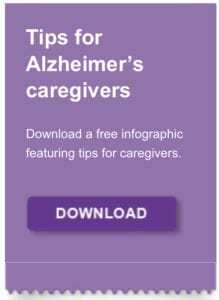 For more tips for Alzheimer’s caregivers, download a free infographic featuring tips for caregivers here. The professionals at Great Care are available to talk with you and your family about all of your home care needs, including respite care. 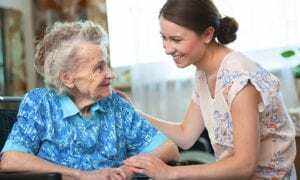 Great Care is a non-medical in-home care agency providing quality and affordable elder care in Fishers, IN and the surrounding areas. Call (888) 240-9101 for more information. Julie Sullivan is the Owner at Great Care of Indianapolis, Indiana. In addition, we offer our Care Compass service, to assist in setting the course for the next stage in your loved ones life. We guide you through the currents of aging, and help you find your true north. Our licensed nurses, with experience in hospice and geriatric care, will help guide you through the complex and often sensitive journey of selecting an in-home care service, and will provide a smooth transition to a new way of life for your loved one, without the anxiety and fear. Our current nursing and management team has more than 75 years of combined experience in the home healthcare services industry. All of our caregivers are bonded, insured and screened thoroughly, so you know you’ll be receiving the greatest care possible. That’s why we stand by our mission: to deliver the same, quality care we expect for ourselves and our loved ones.